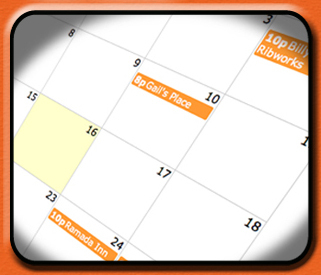 Manage the entire band's scheduling from one calendar. 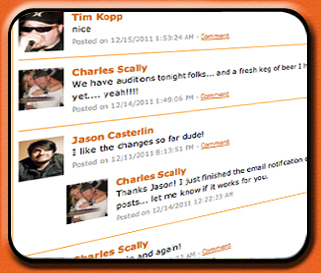 From gigs to bandmate availability, you can see it all at a glance. Click to see a working example! 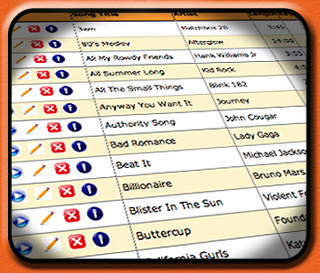 Upload your songs to the site and make them available to your bandmates. With attributes like Key and Hand Position, you can keep everyone in the band on the same page. Even upload lyrics! 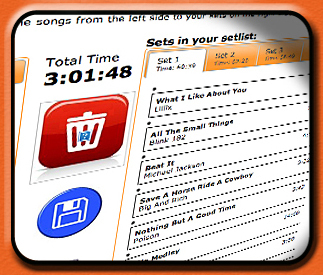 Creating setlists is a breeze with this powerful tool. Drag and drop songs and see the time for the set and overall time change in real time! Extremely powerful for those who want to dial in their there set lengths. 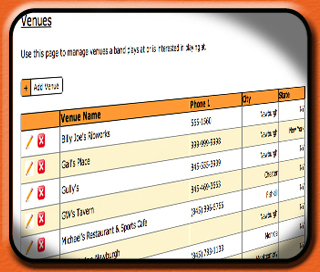 Keep track of your contacts and venue information. No more lost contact information. Keep your contacts private or share them with the band... it's up to you! Band Talk™ allows the group to stay in communication. No more sending emails back and forth, everyone can post their thoughts right to the wall. Instant messaging is coming soon to provide even faster communication. Support for those in more than one band. Give access to fill-in players. Everything you need to run your band in one tool. Free to use! You don't have to pay a dime to use this tool. New features being added regularly.